Here’s a recipe for an amazing day. Wake early. Pack camp. Leave Crescent City by 8:45. Drive south on 101. Admire the scenery. Stop at Redwood National Park. Stop at random places along the highway to take photos of the fog. Drive through Arcata and Eureka. 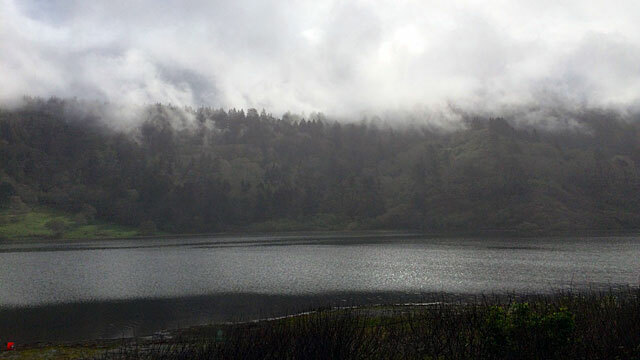 Just north of Fortuna, take exit 691 (Fernbridge, Ferndale). At the Humboldt Creamery, go over the Fernbridge (built 1911). Cross the Eel River. And the Old River (twice). And the Salt River. 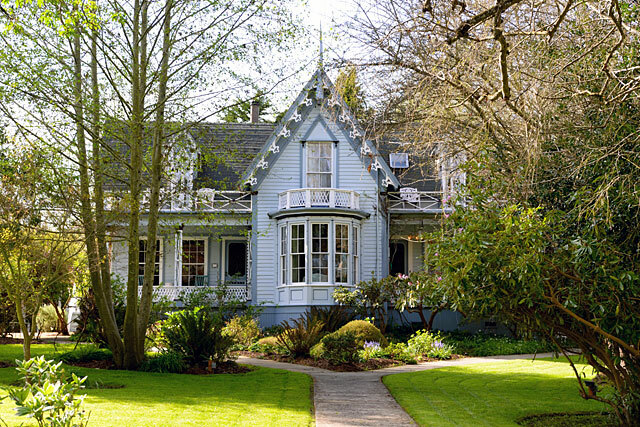 After five miles of farmland, you’ll reach “the Victorian village of Ferndale” (elevation 50 feet, population 1371). Park in front of the Shaw House. Walk across the street to buy pecan rolls and cinnamon bombs from Humboldt Sweets (as featured on Guy Fieri’s “Diners Drive-Ins and Dives”). Stroll up Main Street. Admire the old-fashioned Ring’s Rexall Drugs. Ooh and aah over how Valley Grocery reminds you of the supermarkets you knew when you were growing up in the 1970s. Have fun looking at candy and hats in the Golden Gait Mercantile. 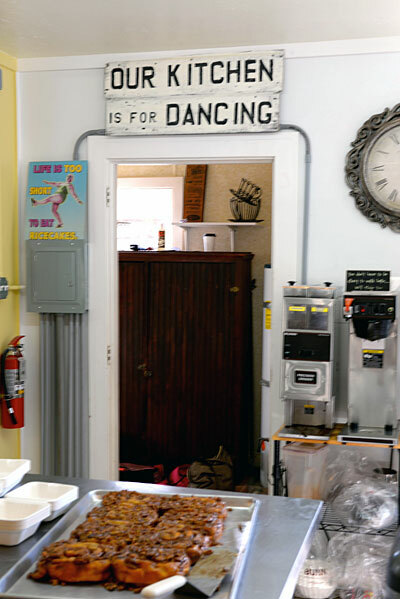 Stop for a l-o-n-g time in The Blacksmith Shop. 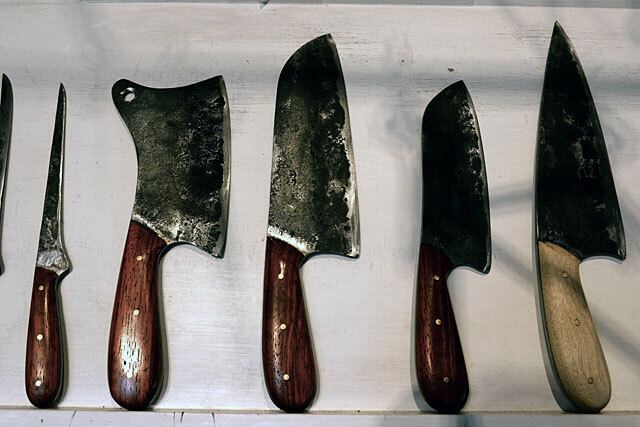 Admire the rustic hand-made chef’s knives. And the bracelets. And everything else, for that matter. Chat with the clerk about Ferndale. She came up here two years ago from Fort Lauderale to care for her aging mother, who recently died. But the clerk loved Ferndale and stayed here. “It’s from another era,” she says, and you agree. She tells you to eat at The Hotel Ivanhoe. She also tells you to turn right at Ocean Avenue and drive five miles to Centerville Beach. The road is winding and rough. On your way out of town, you pass old Victorian homes, fallen-down barns, and shaggy cattle (yaks?). You slow down at the pristine beach — no, really, it’s pristine — but continue another mile to the Lost Beach Coast Headlands. Pick your jaw up off the floor. Wonder why nobody knows about this place. Take photographs. Watch the deer in the pasture across the road. (“Road” is a generous word, in this case.) Smile at the wildflowers. Tell each other how lucky you are to be right here, right now, in this place. As you return to Ferndale, slow your car to a crawl as you follow four deer in a pasture. Wave to the shopowners who are closing up shop at five o’clock on a Friday night. Take exit 687 in Fortuna. Turn right. 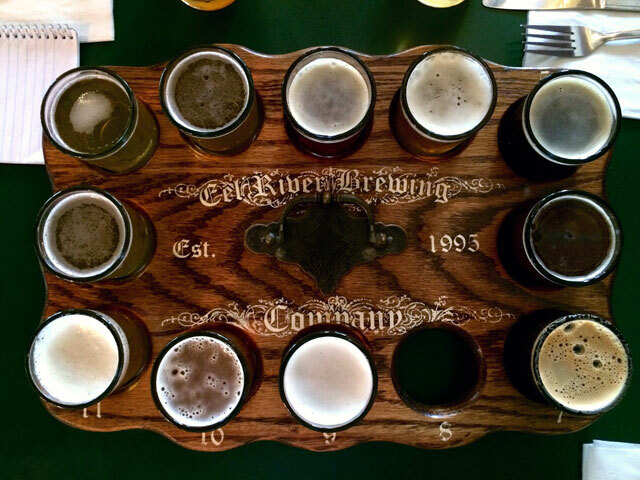 Stop for dinner at Eel River Brewing. Rave over their double IPA. And their “Hop Trials #1”. Order a pulled pork sandwich. And a BBQ tri-tip beef sandwich. And a beer sampler platter. The clam chowder is delicious. The green salad is delicious. The sandwiches are delicious. And, most of all, the beer is delicious. Savor it all. Go back to the RV, curl up in bed, and think — really think — about just how lucky you are. Love this! Reading these posts makes me want to go out and explore the world. I think when a lot of people think about travel, they think about Europe and leaving the country. I love that you guys are exploring the US and blogging about it. Your photos are beautiful and I’m so excited about your adventure. Please keep writing JD! I love that area of the state, too. When I first thought of moving out here from Chicago I really wanted to end up around Eureka, but I was determined to move with my job which had to be near a major metro area. So I wound up in Napa…for now. Glad you’re enjoying yourself! I missed the part about your workout! Kidding- what an awesome day! Happy for you! And of course… Cody lol! I am reading your latest post while listening to a Spotify genre playlist called Your Favorite Coffee House. I think I was transported. I felt like I was sitting at the little RV kitchen table with a notebook, listening to JD talk while he drove.